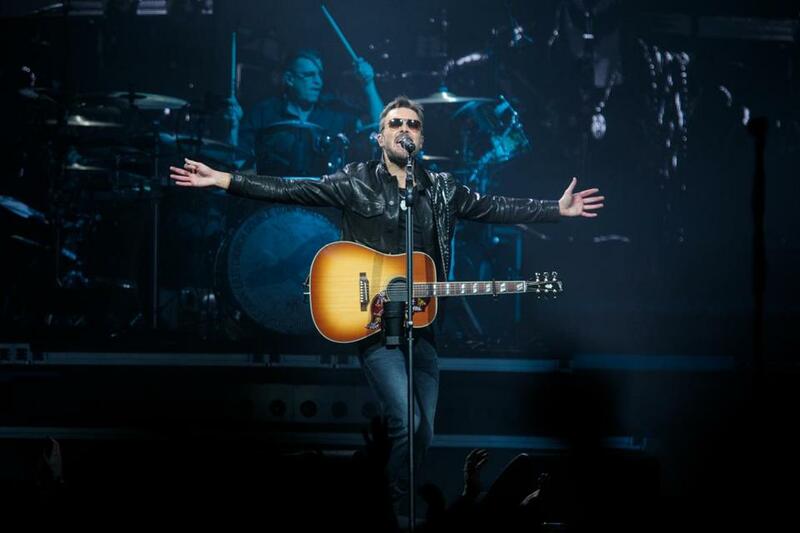 Eric Church performed at TD Garden on Friday night. The North Carolina native’s current tour furthers that ideal. Named the “Double Down Tour,” it consists of 19 two-night engagements, with each show switching up the setlist. Friday night’s two-set, three-plus-hour show at TD Garden proved that this was a smart move, showing off the depth of Church’s catalog and the breadth of his band’s ability while also letting devotees appreciate the deeper cuts. His resounding melodies and everyman lyrics rang out whether the backing track was a hard-edged jam session by his crack band or just his own acoustic guitar, and he clearly reveled in the mere act of playing, an enthusiasm that turned into an ever-building, increasingly thrilling feedback loop over the evening. Just as the clock approached midnight, the band cleared out, leaving Church and his guitar alone. He launched into the tender, thoughtful look back “Mistress Named Music,” his baritone possessing a Van Morrison-like lilt. But he was hardly done: It was the lead-in to a medley of songs from his past, including Jonathan Edwards’s “Sunshine” and Elton John’s “Don’t Let the Sun Go Down On Me,” which crested when he kicked into the Neil Diamond classic-turned Fenway Park standard “Sweet Caroline” — and while the ovation that ensued was to be expected from a Boston crowd, it had an extra fervor that was all Church’s doing.